A Maltese man wanted in Lithuania to face police questioning related to fraud and swindling suspicions has won his battle against extradition to the Baltic country after a Constitutional court declared him a free man. Angelo Frank Spiteri's ordeal began in December 2015 when the man was arrested and arraigned on the strength of a European Arrest Warrant issued by Lithuanian authorities, who wanted to question him. Mr Spiteri's lawyers had argued that if Mr Spiteri was extradited to Lithuania, he could possibly face torture and inhuman or degrading treatment. The First Hall, Civil Court, presided over by Madame Justice Jacqueline Padovani Grima, had agreed, saying there was "objective, reliable, specific and properly updated" proof of systematic shortcomings in detention conditions in Lithuania. This decision had prompted an appeal by the Attorney General, which was today rejected by the Constitutional court. The court found that since the remanding order had not yet been executed, the primary remedy ought to be the revocation of such an order. 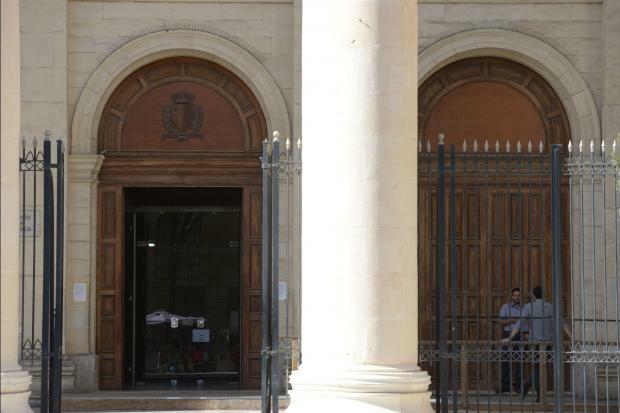 In effect, the ruling means Mr Spiteri is now a free man, and sources told Times of Malta that the man is expected to walk out of Corradino Correctional Facility a free man later today. Lawyers Evelyn Borg Costanzi, Julian Farrugia, Jason Azzopardi and Kris Busietta appeared for the applicant.